Photo: Hu Chengwei/Getty Images (File). Ending speculation that he'll race the Giro d'Italia in 2019, Romain Bardet confirms plan to again focus on Tour de France. Putting an end to off-season speculation, Romain Bardet confirmed Tuesday that he will again focus his season around the Tour de France in 2019. He laid out the fundamentals of his race program in Vaujany, France at Ag2r La Mondiale’s winter team camp. About a week prior, a report in l’Équipe suggested that Bardet would make his debut at the Giro d’Italia next season. However, Italian fans will have to wait to see the Frenchman in person at the season’s first grand tour. Instead, Bardet will take aim at the Tour de France, which he says is better for his strengths. Considered a pure climber, Bardet was likely put off by the Giro’s three time trial stages. In contrast, the 2019 Tour has merely one 27km individual time trial. 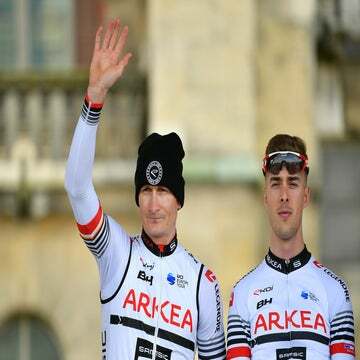 Bardet’s team manager echoed the 28-year-old’s sentiments. 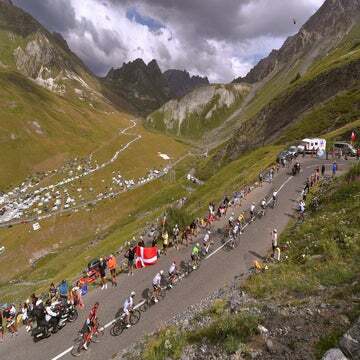 “The Tour de France parcours is more favorable for him than the Giro, and it seemed more appropriate to focus on the Grande Boucle,” said Vincent Lavenu. Plus, Bardet has had several fruitful runs at the Tour. While 2018 was an off year, void of stage wins and resulting in a sixth-place overall result, he was third overall the year prior. Bardet was also second overall at the 2016 Tour. He has also won three stages in his career. Although many grand tour GC stars have yet to confirm their plans for the coming season, Bardet can expect a tough challenge at the Tour with Chris Froome (Team Sky) vying for a record-tying fifth yellow jersey. As well as the Tour, Bardet named four early season races he will start in 2019: Tour du Haut Var, Classic de l’Ardeche, Paris-Nice, and Volta a Catalunya.